This is according to the annual RBC Home Ownership Poll, released Monday. The cost of home ownership includes mortgage payments, property taxes, maintenance and utilities. Two in five Canadians say that being house poor is a reality, while just less than half who answered the survey say it’s worth the sacrifice to own a home. Meanwhile, over half of those who responded said they would not put themselves into the position of being house poor, and 92 per cent of those who took the survey said that mental stress is a potential impact of being house poor. 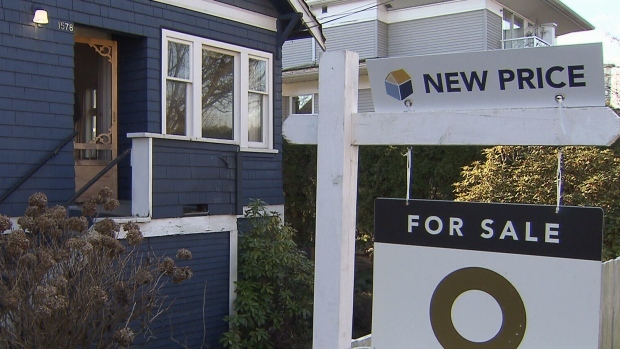 “While many Canadians tell us that house poor may be a reality, it doesn’t have to be,” said Nicole Wells, RBC’s vice-president of home equity financing, in a statement. Still, according to the poll, two-thirds of Canadians said it makes more sense to buy than to rent. And for the first time in half a decade, Canadians are seeing a balanced market, with nearly as many sellers in the real estate market as buyers. The home ownership poll reported 36 per cent of respondents seeing a buyers’ market, and 34 per cent seeing a sellers’ market. Non-traditional buyers, like those who buy a house alone, is a rising trend, bumping from 29 per cent in 2017, to 32 per cent in 2018. Traditional buyers, like those who purchase a home with a partner or family member, have declined from 49 per cent in 2017 to 42 per cent last year. In B.C., more than two-thirds of respondents said they believe prices will drop, and are prepared to wait as long as two years to make the purchase. “Let’s face it, the white picket fence or pride of your name on the deed is a rite of passage and doing it responsibly means there’s still money for the extras in life,” said Wells. Affordability and safe neighbourhoods, at 21 and 20 per cent respectively, topped the list of what Canadians consider as “must haves” when buying a home. Conversely, being close to a major highway, and dining and entertainment, were the most readily-sacrificed factors on the list. The home ownership poll was conducted by Ipsos, and surveyed 2,223 Canadians over the age of 18 between Jan. 9 and 21, and Feb. 14 and 15, 2019. RBC said the poll is accurate to within 2.5 per cent, 19 times out of 20.